Poland’s new National Centre for Science (Narodowe Centrum Nauki – NCN) opened on 4 March in Krakow. It is the only agency charged with distributing funds for applied research on a large scale. This will be overseen by a council of specialists from across Poland and the hope is that red tape can be avoided by centralising the agency. This year’s capital injection is 305 million PLN, however, this will increase significantly after a coherent set of policy objectives for the centre have been formalised. Krakow is a good choice of location for the centre because of the existing and emerging sectors in the city. For example, the research centres at the Jagiellonian University, including the medical college, which will attract and benefit students and professionals alike wishing to use the NCN and the university as springboards for research. Funds will be made available through open competitions and will be aimed at students and experienced scientists engaged in potentially pioneering research. Advancing knowledge will improve universities. 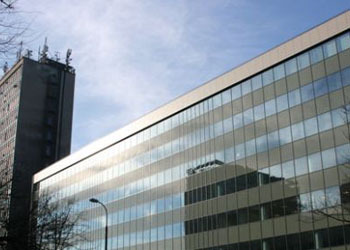 The NCN’s predecessor was in Warsaw, and its applied research counterpart will remain in the capital. Curiously, many consider applied research to be a linchpin of economic growth, but the importance of theoretical research should not be underestimated. Prof. Michał Kleiber, president of the Polish Academy of Sciences, argues that, for science and for Poland: “the most important function is the advancement of knowledge” and adds that this is crucial to building “the foundation for quality education at universities.” These are commendable points, especially at a time when the knowledge-based sector in Poland is in urgent need of invigoration – students and specialists will be pivotal agents in achieving this objective. Rather than decisions being made by the Science Council at the Ministry of Science and Higher Education, as was the case in the past, the NCN will be “supervised” by the Minister of Science and Education. This is a prescription for efficient governance, which has been used across Europe. A central feature includes the decentralisation of authority to specialists, allowing them to oversee project management and facilitate effective results. This agency will put Poland on a par with leading countries in Europe. Obviously, the amount of research undertaken will still depend on the overall capital invested by the government, but the NCN should be able to act as a buffer against political interference. This model will build investor confidence in Poland, and draw attention to Krakow. The idea is to streamline bureaucracy, which means that scientists and students will be able to develop cutting edge projects through a dedicated institution with a governance model tailored to their needs. Twenty percent of the budget is earmarked for young scientists engaged in post-doctoral research, and will leave researchers free to co-operate with institutions outside of Poland. Hopefully the NCN will emerge as an innovative solution for Poland’s lagging knowledge sector by utilizing potential, and by influencing investors across provincial and national borders.